I like to fish midge patterns, particularly when at tailwaters or when I want to throw something that looks innocuous. I’ve written before that Midge Larvae are a big part of my fly boxes. They work well as part of an indicator or Euro-style rig. 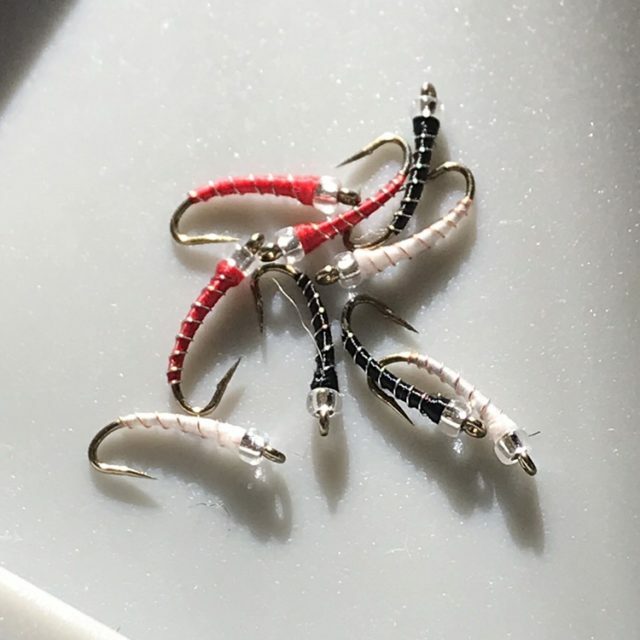 I also like them as part of a dry-dropper set-up when targeting spooky trout in shallow water; there’s no splash from a small dropper fly that has minimal weight. This approach has been particularly deadly at the Farmington when the water is low and there’s a Trico, BWO or Midge hatch. One pattern I’m tying for my next Deerfield River outing is Pat Dorsey’s Mercury Midge. He is a noted author, guide and angler, who often fishes tailwaters out west. 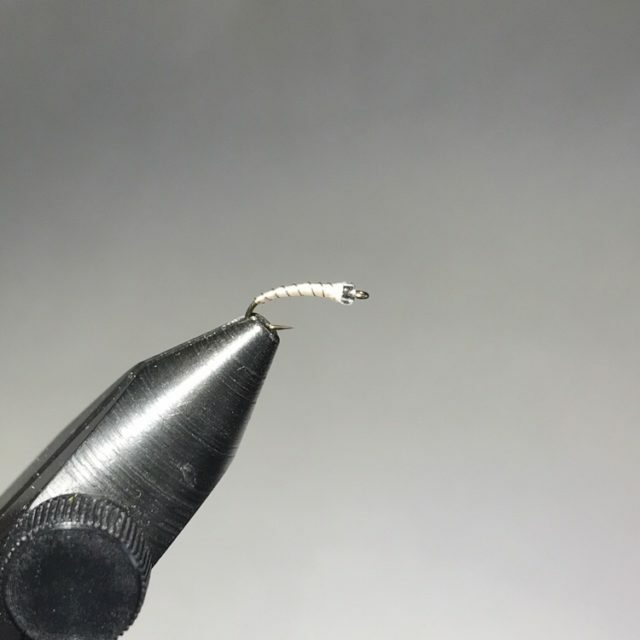 I’ve had good luck with this pattern, as well as a slight variation, the Miracle Nymph. The Mercury Midge is a simple tie. I really like it on a curved nymph hook, as these bugs tend to be long and skinny. The glass bead adds a bit of flash and just enough “no splash” weight to get the fly down when on a dry-dropper. It’s very stealthy. For midge patterns, I like making them in a variety of colors. Sometimes, the trout prefer one over the others, and, it’s hard to know ahead of time what they’ll like. I make this fly with a slight taper. I don’t think the trout care, but, I just like the look. Sometimes, I tie flies both for the fish and for myself. I do the same but in size 18. Can’t wait to try them out. Nice that you include links for the materials. Thanks.